Once again, it is time for the WCA’ annual art show, Imagination into Art. The event starts with a reception on Friday, June 24 from 5 to 7 p.m. Seventeen local artists will demonstrate as well as show their work and chat with art lovers at the WCA Red Barn, 64 Village Road in Wilmot. Wine and hors d’oeuvres will be served at the reception and a $15 donation per person is suggested. The show will continue on Saturday morning, June 25 from 9 to noon at both the WCA Red Barn and at the Wilmot Farmers Market on the town green. Bladesmith Zack Jonas is among this talented group of artists. Working at his forge in Wilmot, Zack turns steel into beautifully patterned, custom-made knives. Knives have been an essential tool of human survival since the Stone Age. Zack has been fascinated with their form, function and history for much of his life. As a child and teenager, his two passions were collecting pocketknives and making art: drawing, painting and sculpture. As a bladesmith, Zack has been able to combine these two passions. Manipulating the steel at more than two thousand degrees, he creates beautiful shapes and patterns. 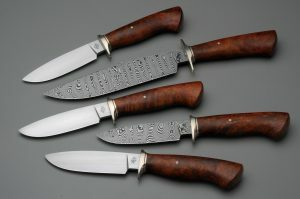 His portfolio includes everything from chef’s knives to pocketknives and samurai swords. 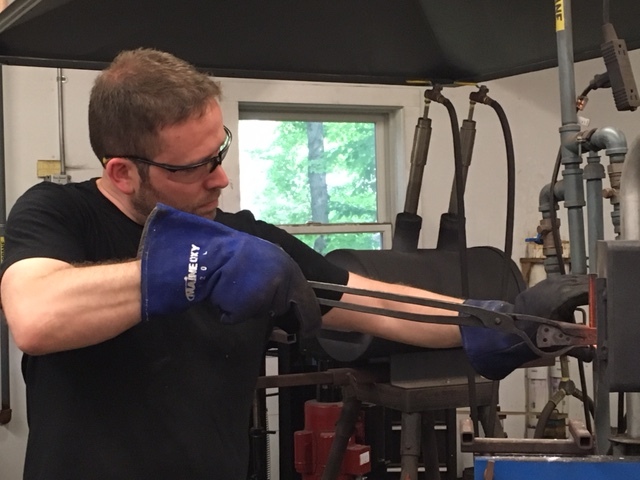 Zack first learned bladesmithing at Massachusetts College of Art and Design. He continued his studies at workshops throughout the country as well as in New Zealand with Steve Wheeler, the weapons master for the Lord of the Rings movie series. 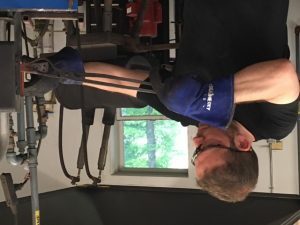 A member of the League of New Hampshire Craftsmen, Zack is one of only 120 artists to be included in this year’s Smithsonian Craft Show in Washington, D.C.
You can learn more about Zack and watch a video of him working at the forge on his website.